South Kuta hotels and Tuban hotels in Bali are some of the most popular resort destinations on the island. The area for hotels in Tuban and hotels in South Kuta stretches from the Bali International Airport to the south until Kuta Square with the Matahari Department Store. Located further to the north, is Kuta "proper". The neighborhood of South Kuta, also called Tuban is a more relaxed, family orientated area, offering an excellent range of superb South Kuta hotels and resorts. 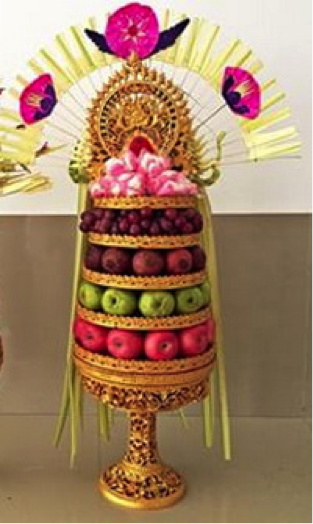 Many Tuban Bali hotels and South Kuta Bali hotels are geared up for familes. Most of them offer kids` clubs, family rooms and other facilities to keep children and their parents happy. Nevertheless, couples and singles will also like this area for its easy access to beach, restaurants, shopping and nightlife spots. Several of the hotels in Tuban have large gardens and spas for a relaxing Bali holiday. Waterbom Park is a brilliant idea for a day-out with the whole family, whilst on the opposite side of the road, visitors will come across the Discovery Shopping Mall with the Centro Lifestyle Department Store at its center. A wide variety of shops, restaurants and coffee houses can be found in this sprawling shopping Mecca. With its beachfront location, this is a good locale to watch the sunset after an exhilarating shopping spree. Bintang Bali Resort is set in more than six hectares of lush tropical gardens, right on the beach of Tuban in South Kuta, and only a few minutes drive from Bali`s Ngurah Rai International Airport. Flamboyan Hotel Bali is situated in Jalan Kartika Plaza, just minutes away from the airport, several shopping malls, famous Kuta beach, Waterbom Park and various restaurants and nightlife venues. Grand Ixora Kuta Resort is a stylish 3* hotel located in the South Kuta, Tuban area. It`s just a few minutes away from the airport and in walking distance to a variety of shops, restaurants, the beachfront Discovery Shopping Mall, Kuta Square, Waterbom Park and other attractions nearby. Harris Hotel Tuban is a friendly, modern hotel, only 5 minutes from Bali`s International Airport.